Thousands of new residential property units are expected to be completed in Dubai’s upcoming communities this year, research from real estate portal Property Finder has found. Over 41,000 homes are scheduled for completion in Dubai in 2019, although there is usually a “considerable gap” in what is announced and what enters the market, the report said. Actual deliveries have been 30 to 50 per cent lower than projections since developers usually adjust supply to match actual demand. But the report found that – until the end of February 2019 – 30 per cent of the 41,000 units slated for completion in Dubai are 96 to 99 per cent ready. A further 32 per cent of under-construction projects are 91 to 95 per cent complete while 29 per cent of projects being built are 85 to 90 per cent complete. “This may result in a higher materialisation rate of projects this year,” Property Finder stated. 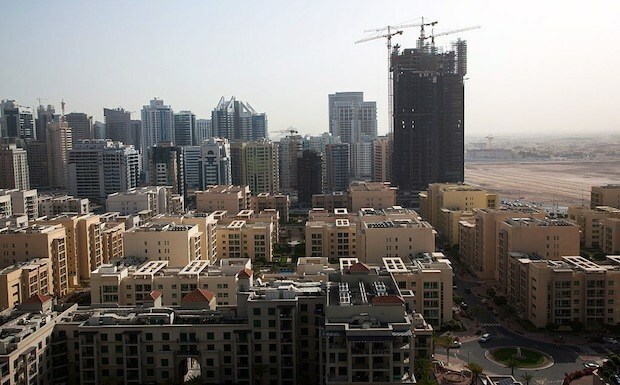 A total of 4,441 residential units have already been completed in Dubai in the first two months of 2019, of which 4,184 were apartments and 257 were villas/townhouses. Overall, Jumeirah Village Circle will see the highest number of homes completed this year (3,408), accounting for 8.19 per cent of the upcoming supply. Business Bay is second, with 3,152 homes slated for completion in 2019, followed by Dubai Sports City with 3,098 homes. New developments such as Mohammed Bin Rashid City, Al Furjan and Town Square are also add over 2,000 homes each to Dubai’s residential market this year. Other new projects like Akoya Oxygen, Mirdif Hills, Dubai South and Damac Hills will each add over 1,000 units. Meanwhile established areas will see limited new supply this year, Property Finder stated. International City is slated to see 512 new units, followed by Palm Jumeirah (289), Dubai Motor City (276), Dubailand (188) and Jumeirah Golf Estates (95). The only exceptions were found to be Downtown Dubai (1,772) and Dubai Marina (944), where “considerable construction activity is still on”, the report added. “As the Dubai property market matures, residents are finally seeing rents reduced to a level that is considered affordable and, in turn, their cost of living is going down,” said Lynnette Abad, director of Research and Data at Property Finder. “Considering more than 70 per cent of expats rent, this new supply is very much welcomed as residents are benefiting by upgrading the community in which they reside, and the property type, for example one bedroom to two bedroom, while saving on rent at the same time. In addition, this is an excellent time for those who are looking to purchase property,” she added. Dubai’s property market has seen prices dropping since 2014 on high supply and weaker demand, with ratings agency S&P predicting last month that prices will not recover in 2019. Over 28,000 residential units were handed over in Dubai last year, according to Property Finder – more than the number of units handed over in the past few years.